Riyadh: Saudi Arabia`s King Salman ousted his nephew as crown prince on Wednesday and installed his son Mohammed bin Salman, capping a meteoric rise for the 31-year-old that puts him one step from the throne. The young prince already wielded huge power before he became heir, spearheading a sweeping economic and social reform programme for the ultraconservative kingdom. His rise comes at a crucial time for Saudi Arabia which is in a battle for regional influence with arch-rival Iran, bogged down in a controversial military intervention in neighbouring Yemen and at loggerheads with fellow US Gulf ally Qatar. Prince Mohammed is now "de factor ruler of the kingdom," said Andreas Krieg of the Defence Studies Department at King`s College London. "The king needed to strengthen his son`s position amid the current turmoil in the region," Krieg said. Mohammed`s youth is a novelty for a country that is used to ageing leaders -- King Salman is 81 and his predecessor King Abdullah died in 2015 aged around 90. His rapid ascent over the past two years has symbolised the hopes of the kingdom`s young population, more than half of which is under 25. Saudi television channels showed the bearded Mohammed bin Salman kissing the hand of his ousted cousin Mohammed bin Nayef and kneeling in front of the older prince, who patted his shoulder to congratulate him. "I am going to rest now. May God help you," the former crown prince said, to which his replacement replied: "May God help you. I will never do without your advice. "The king called on governors and other princes to pledge allegiance to his new heir and ordered a ceremony -- routine on such occasions -- after night prayers on Wednesday at a royal palace in Mecca. Many ordinary citizens tweeted their allegiance, but support for Mohammed has not been unanimous. A royal order said his appointment was endorsed by 31 of 34 members on the Council of Allegiance, which decides on succession issues. The king accompanied his son`s elevation with measures to woo the many Saudis who work for the government, either as civilian or military personnel. The enticements come as the kingdom`s war in Yemen drags on and citizens for the first time pay taxes, imposed after oil prices fell. Salman ordered the reinstatement of all civil service benefits cut in a controversial move as part of an austerity package late last year. He also extended the end-of-Ramadan Eid Al-Fitr holidays until July 9 for civil servants. As deputy crown prince, the new heir to the throne already held multiple posts. He is the main champion of the kingdom`s Vision 2030 reform plan to bring social and economic change to the oil-dependent economy of a country where women`s rights are among the most restricted in the world. One Saudi, Sultan al-Asimi, 33, said in Mecca that Mohammed`s appointment sends a message of "hope and trust about the future of the country". The Saudi stock market seemed to agree. It closed 5.5 percent higher on news of Mohammed`s appointment as well as word that the exchange had moved closer to joining a major global index. Mohammed is also defence minister with overall responsibility for the kingdom`s military intervention in Yemen. Sunni-dominated Saudi Arabia leads a coalition supporting the Yemeni government against Shiite rebels who control the capital Sanaa. The coalition`s bombing campaign has drawn repeated criticism from human rights groups for the high number of civilian casualties.Saudi Arabia`s intervention in Yemen in March 2015 signalled a more aggressive foreign policy, emphasised again this month when the kingdom and its allies imposed an embargo on neighbouring Qatar. They accused Doha of supporting extremists, a charge it denies. BEIRUT: Prime Minister Saad Hariri Wednesday congratulated Saudi Arabia's King Salman for choosing Mohammed bin Salman as his new crown prince. Hariri congratulated the newly appointed crown prince in a telephone conversation, a statement issued by the premier's office said. Lebanon's Grand Mufti Abdel-Latif Derian also congratulated King Salman on his "supreme decision to appoint Prince Mohammed Bin Salman Crown Prince of Saudi Arabia, which strengthens Saudi Arabia's role in serving its people, Islam and the Muslims in the world." He also sent a letter to the Crown Prince Mohammad Bin Salman, congratulating him and wishing him success in his new role. Progressive Socialist Party leader Walid Jumblatt also congratulated Saudi Crown Prince Mohammad Bin Salman on his appointment as crown prince of Saudi Arabia, wishing him success in his new duties and responsibilities. King Salman on Wednesday appointed his 31-year-old son Mohammed bin Salman as crown prince, placing him first-in-line to the throne and removing the country's counter-terrorism czar and a figure well-known to Washington from the line of succession. The monarch stripped Prince Mohammed bin Nayef from his title as crown prince and from his powerful position as the country's interior minister overseeing security. The announcements were made in a series of royal decrees carried on the state-run Saudi Press Agency. Over the weekend, the king had issued a decree restructuring Saudi Arabia's system for prosecutions that removed Mohammed bin Nayef's oversight of criminal investigations, and instead ordered that a newly-named Office of Public Prosecution report directly to the monarch. by Phil Hampton - Dr. Huda Zoghbi, a neurologist whose work has revealed the molecular basis of neurological disorders a native from Lebanon, is the recipient of the 2017 Switzer Prize awarded by the David Geffen School of Medicine at UCLA for excellence in biological and biomedical sciences research. Zoghbi’s lab at the Baylor College of Medicine identified a gene mutation that causes Rett syndrome, a severe genetic disorder that mostly affects girls. After a short period of apparently normal development, the disorder causes them to lose language and motor skills, typically by 18 months of age. The discovery paved the way for a genetic test to diagnose the disorder. The same gene mutation can also cause autism, juvenile-onset schizophrenia and other neuropsychiatric disorders. Zoghbi also discovered the molecular mechanism of spinocerebellar ataxia 1, a neurodegenerative disorder in which people’s balance and coordination progressively worsens. Zoghbi and collaborator Harry Orr identified the gene mutation responsible for the disorder. These and other discoveries by Zoghbi have opened up new areas of inquiry with the potential to advance diagnoses and treatments for Alzheimer’s disease, Parkinson’s disease and other neurological diseases. “Dr. Zoghbi’s extraordinary work represents a powerful example of the direct impact that biological and biomedical research have on the lives of patients,” said Dr. Kelsey Martin, dean of the Geffen School of Medicine. Zoghbi is scheduled to deliver the Switzer Prize lecture at UCLA on Feb. 16, 2018. She will receive a $25,000 honorarium and a medallion. “I’m honored to accept UCLA’s Switzer Prize on behalf of the patients and the families to whom I am committed, and also on behalf of my many research collaborators and trainees,” she said. Zoghbi is a Howard Hughes Medical Institute investigator, a professor at the Baylor College of Medicine and the founding director of the Jan and Dan Duncan Neurological Research Institute at Texas Children’s Hospital in Houston. She has faculty appointments in the departments of pediatrics, molecular and human genetics, neurology and neuroscience. A native of Beirut, Lebanon, Zoghbi fled the civil war in her home country in the mid-1970s while a medical student at the American University of Beirut. She earned a medical degree at Meharry Medical College in Nashville and went on to become chief resident in pediatrics at Baylor College of Medicine and Texas Children’s. After years of treating patients, Zoghbi became fascinated with the origins of disease and committed to a three-year fellowship in molecular genetics to acquire research training. She is a member of the National Academy of Sciences, the National Academy of Medicine and the American Association for the Advancement of Science. 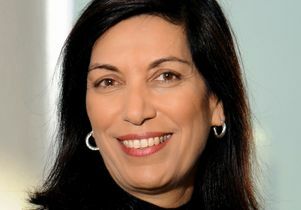 Zoghbi is the recipient of a number of other prestigious awards, including the Breakthrough Prize in Life Sciences, the Shaw Prize in Life Science and Medicine and the Canada Gairdner International Award. by emirateswoman.com/ The Canadian superstar often turns to Middle Eastern designers when it comes to her stage wardrobe… Céline Dion has been on quite a style roll recently, and we have some regional designers to thank for her most stand-out looks. First the Think Twice singer donned a glimmering, mermaidy gown by Zuhair Murad for the 2017 Grammy Awards, before taking to the stage at a Bee Gees tribute concert in a midnight-blue haute couture gown by Elie Saab. During the 30-days of Ramadan, and while Muslims in the Arab world have been fasting since May 26, millions have tuned into Saudi Arabia’s MBC to watch the first ever series about ISIS. The Arab world’s most-watched satellite channel has just finished airing the dramatic television series Black Crows. Black Crows, inspired by true events, depicts daily life for women under ISIS. The series focuses on the women who volunteer or are forced to join the jihadist group and the fear that shapes their relationships. The drama is narrated from the viewpoint of women and highlights the militants' cruelty against them. The series also depicts children being subjected to the group’s abuse and brainwashing and shows how ISIS uses them as snipers and assassins. Many at MBC hope that the dark and violent series will influence those who have watched the program and will help to undermine the narrative that the Islamic State uses to entice recruits. MBC program director Ali Jaber said that “We believe that this is an epidemic, this is a disease that we must have the courage to address and fight.” The actors and crew of Black Crows have received death threats from ISIS, and MBC, the largest private broadcaster in the Middle East and North Africa, has increased security at its locations in Cairo, Dubai, Beirut, Riyadh, and Jeddah. The Qatar media, including Al-Jazeera, have taken a critical stance on the Black Crows show, and have been accused of inciting terror and death threats against MBC. Ali Jaber, a Lebanese journalist, media consultant, TV personality and the Group TV Director of MBC, had this to say about the Qatari-owned Al-Jazeera to Arab News: “What is hard to swallow is why Al-Jazeera, which understands very well the risks of inciting radicals against media practitioners would want to put the lives of their colleagues at MBC at risk when they are supposed to be with us in the same anti-terrorism camp. They should rise above any politics… media ethics should never be affected.” According to Arab News, journalist Abdel Latif El-Menawy, the former head of Egypt’s state TV news under ousted leader Hosni Mubarak, said that Qatar had been “furiously attacking” its neighbors in the Gulf. He also said the Al-Jazeera TV channel had “unintentionally revealed its true positions” in its attack on the MBC series. The adverse comments against Al-Jazeera come at a time of heightened tensions in the Gulf region. On June 12, several Arab and Islamic countries cut diplomatic ties with Qatar over Doha’s alleged support for extremist groups. Mr. Jaber went on to say that MBC knew what they were getting themselves into by tackling ISIS: “These people do not need an excuse to attack MBC. MBC in its existence as a moderate voice in the Arab world and in our society is a contradiction to their existence.” Jaber added that "ISIS is not only an organization. It's an idea; it's a narrative. And you don't bomb an idea. You fight an idea with a more progressive, more compelling idea." He also said the network hopes to produce an English-language version for wider distribution. Critics are hailing Black Crows as one of the best shows this Ramadan and has already garnered worldwide headlines. Lebanon's civil society has actively called over the last few months for a law based on proportional representation, as well as a series of reforms that are considered to be necessary for the transparency of the electoral process. With the new law in place and with the parliament's term expiring June 20, Lebanese civil society is now preparing itself for the second phase of its battle: participation in the upcoming elections, expected in 11 months, after the current parliament extended its term for the third consecutive time since 2013. "This is definitely a positive step, yet insufficient," said Zeina el-Helou, the secretary-general of the Lebanese Association for Democratic Elections. "The parties in power have minimized the effect of the proportional representation and sustained confessionalism through the number and division of districts. This is not to mention that several essential reforms, such as the female quota, lowering the voting age from 21 to 18 or the creation of an independent authority, were not included in the law." She continued: “In addition, the electoral expenditures have been effectively increased; in fact, to the individual $100,000 allowed disbursements — that are yet to be capped now, while there was no explicit ceiling before — another $100,000 was added, that can be disbursed by the electoral list on each candidate. A third reform is the rise of the permitted variable expenditure per voter to 5,000 Lebanese pounds, [compared to] 4,000 Lebanese pounds in 2009.” Concretely, this translated into more than $500,000 of legal expenditures in a district of 100,000 voters. Despite these failures and the postponement of elections until May 2018, the battle to break through the next parliament is already underway. 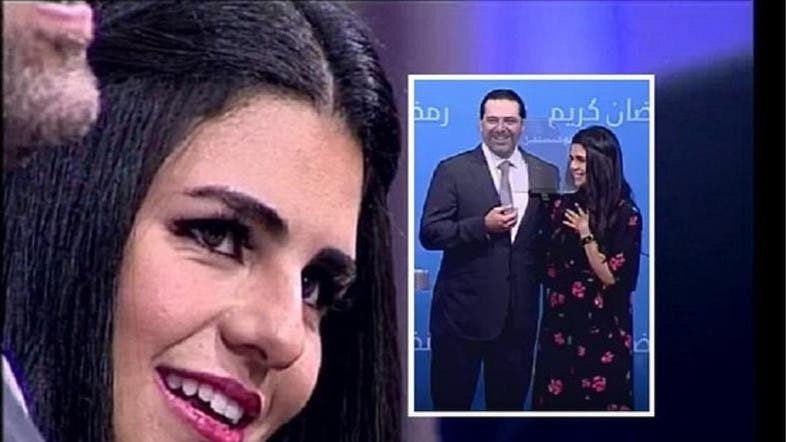 Nadine Moussa is an active member of Lebanese civil society who will participate in the elections as an “independent candidate,” she told Al-Monitor. "My decision is in line with my personal struggle for years in favor of a state of law, but it is also motivated by a deep conviction that the Lebanese are more than ever thirsty for a serious and solid alternative to the current feudal, confessional and corrupt system of governance that has been in place for decades," she added. "I also decided to run in the elections in order to contribute to a feminine dynamic against the traditional ‘men’s club.’” In 2013, Moussa, a lawyer and mother of two children, submitted her candidacy with other members of the Take Back Parliament movement, before the Lebanese Assembly decided not to hold any elections and to extend its term. Other activists within civil society are also potential candidates. Artist Nada Sehnaoui had already run in the 1998 municipal elections before appearing again in 2016 as a candidate on the Beirut Madinati list, which included 12 women and 12 men from different professional backgrounds. The list was pitted against another that was supported by all the political parties in power. Against the odds, Beirut Madinati gathered nearly 40% of the votes — a “civil” phenomenon observed for the first time in a country that has always been dominated by traditional confessional parties. Beirut Madinati has quickly become a label of alternative governance and progressivism among the Lebanese. If the coalition officially decides not to participate in the legislative ballot, some of its members will run individually or within a group of Beirut Madinati. "I have not yet made my final decision, but this is secondary. My candidate is the political program that will be adopted by a united civil society,” Sehnaoui told Al-Monitor. Since July 2016, an informal team of activists that Nada Sehnaoui joined has been working on this front. "The idea is to create the nucleus of a broad coalition that would include all individuals, movements and parties wishing to run in the elections on the basis of a program that would encompass all the dimensions of public life, including economic, social and environmental policies and reforms," she said. While some activists are still hesitant, emerging parties, such as Sabaa (Arabic for seven), have already started their battle and are forging their electoral lists in several parts of the country. "Sabaa has now more than 2,000 members, a large network of contacts and key members with substantial experience in policymaking," Ziad Hayek, the director of the party's board, told Al-Monitor. Hayek has been the secretary-general of the High Council for Privatization since 2006, a highly ranked public position he maintained despite his decision to rally and actively contribute to the Social Movement in 2015, amid an unprecedented waste crisis in the country. "I don’t intend to run in the elections, but I fully support the current driving energy among some groups. … I have been living an internal dilemma, not to say a revolt, for several years now because no public policy issue has ever been taken seriously since I joined office," he said.